The Hillsboro School District will host its annual Powwow on Friday, April 5. The traditional powwow — set for 5 to 10 p.m., April 5 at Liberty High School, 7445 N.E. Wagon Drive — is organized each year by the district's Indian Education Program. Fry bread, arts and crafts and other items will be available for sale at the event, organizers said. A community dinner will be served at 5:30 p.m., with the powwow's "grand entry" planned for 6 p.m. 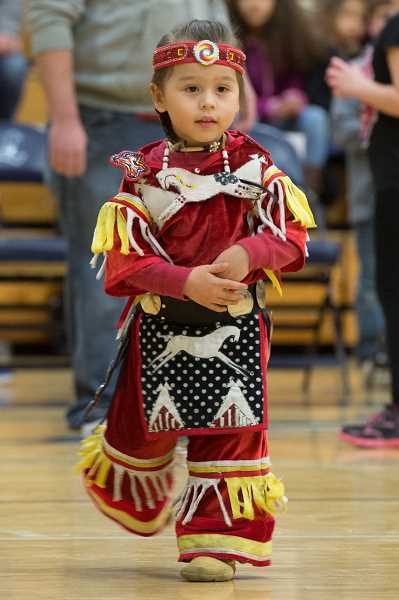 Since 2014, Liberty has hosted the Indian Education Program's annual powwow, a mixture of dance performance, community dinner and program fundraiser. Dancers from across the Pacific Northwest often travel to the powwow to perform and celebrate. The annual event draws hundreds of visitors each year and is the largest community event put on by the program. The district's Indian Education Program serves Native American students who study together and learn about the dancing and drumming styles of Native American tribes, as well as other cultural activities including drum-making and beading.